Rag-a-Muffin was started in the winter of 2005 following the birth of Anne's daughter. Anne and her mother, mentor and good friend, Marcia, initially designed two reversible bag styles to sell at a local spring festival. "It was really just a favor for a friend who was organizing the vendors for the festival," Anne says. "She was desperate to get some local artisans for the festival and knew that I had some extra time on my hands, being home with a new baby. She begged us to make something-anything to help her out. We had no idea that we would still be doing this ten years later!" "It's funny how you kind of fall into things. That first festival was rainy, cold, and poorly attended but we sold about half of our inventory. The next year of the festival we thought we'd just sell off what we had left and be done with it. The problem was that we sold most off our inventory the first day to return customers. We had to go home and sew that night just so we had something to hang in our booth. We thought, 'maybe we're onto something' so we took a leap of faith. We redesigned the line with three new purse styles and plunged headlong into what we referred to as, 'Our little purse business.'" About three years into the project, Marcia was working as the kitchen manager for a small store that produced homemade pies, jams, and bakery items and she needed a better apron. "There's something very nostalgic about aprons," Anne says. "I don't think that most people can think about aprons without thinking about their moms or grandmothers. Most of us have a special place in our hearts for aprons because they remind us of a simpler time that most people really long for. Our apron styles reflect upon that time. Most of them are inspired by older styles of aprons or clothing styles with many of them rooted in the Depression Era. We always put a special Rag-a-Muffin twist on them when we're designing. We may start with an idea like the neckline of Rosemary Clooney's black velvet dress in White Christmas and from that idea we develop the 'Betty' with a sweet-heart neckline which is great on curvy figures." Going into the ninth season, Rag-a-Muffin has 3 reversible purses, 2 simple wallets, 1 small purse, 8 reversible adult apron styles and 3 reversible children's styles. "It's been quite the ride," says Anne, "but early on we committed this project to the Lord and we'll go where it takes us." Marcia Learned to sew in the eight grade and has a degree in Home economics. She had made and sold custom wedding dresses, formal wear, children's clothing, costumes, active wear, purses, and aprons to name a few things. 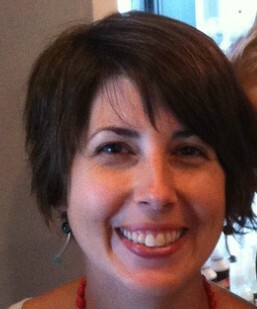 She designs, is the fitting expert, and sews the majority of Rag-a-Muffin aprons. 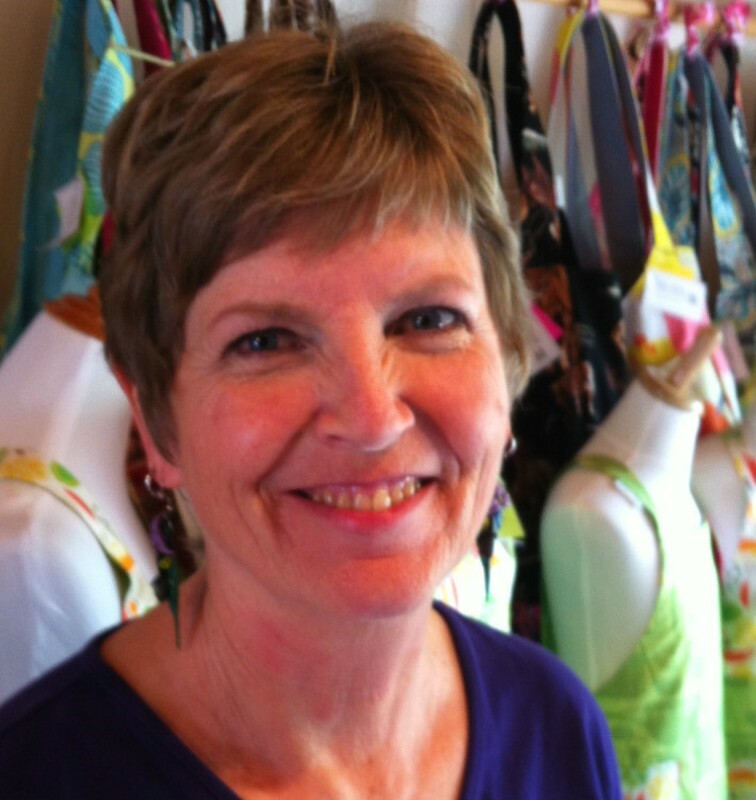 Anne has been sewing and selling various self-designed wears for over twenty years. She has a background in costuming and previously worked in production for two Gorge based Activewear companies before the start of Rag-a-Muffin. She designs, patterns, cuts, and sews the majority of Rag-a-Muffin purses. We like to give back to our communities and people who need an extra hand. Here are some of the places and kinds of places where we have donated products, money, and or supplies: Klickitat County WIC New Parent Services, Next Door Inc., Columbia Gorge Pregnancy Resource Centers, Women's Shelters, Christmas Gift Programs for Children and Teens, and local schools. "The mission of Rag-a-Muffin has always been to make a quality product that is fun to wear and to keep our prices at a level that allows anyone to carry one of our purses or wear an apron. We have every age from 18 months to 80 wearing Rag-a-Muffin and that's really exciting. One summer we had a group of third-grade girls who had been saving their allowances to buy purses from us and we were absolutely thrilled and flattered. Because we're making a product that is made from natural fibers we also know that 100 years from now we won't be clogging up the landfills and that's a good thing. We love the fact that we're making our mark now and not leaving it for someone else to deal with later."